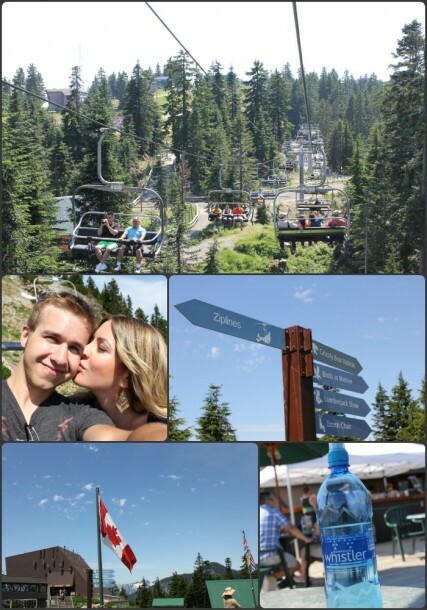 The Ultimate Stay-cation at Grouse Mountain!! Ahh, Grouse Mountain (aka The Peak of Vancouver), in my own backyard. I was due for another visit to one of my favourite places. 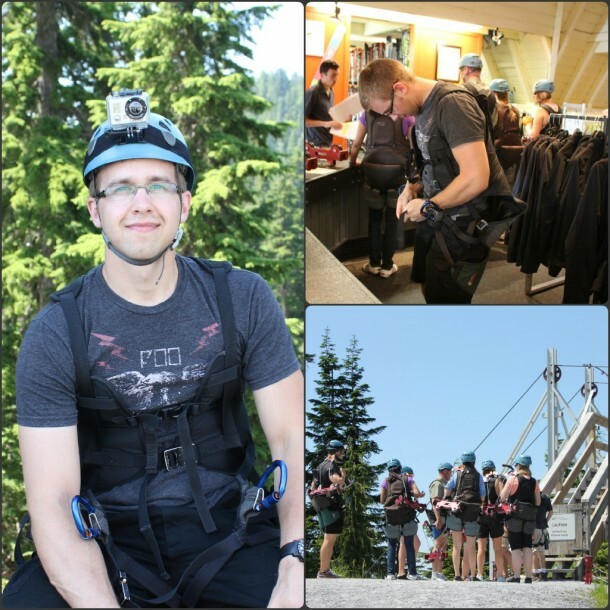 So Mike and I spent a day exploring some of the amazing activities Grouse Mountain has to offer. 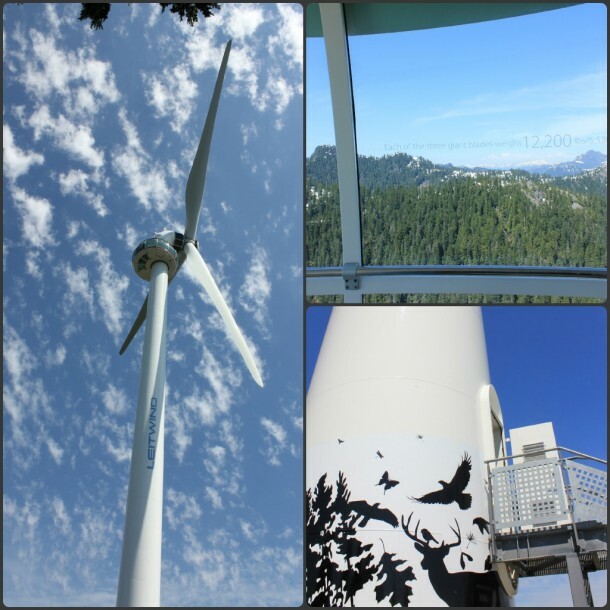 Normally I hike up Grouse, but being 5 months pregnant and a little wobbly, we took the SkyRide up! Our first stop was visiting the resident orphan Bears (Coola and Grinder), Gosh it seems like they’d be hot will all that fur, but they take lots of dips in the water to cool off. The bears and I have more in common than you’d think………. 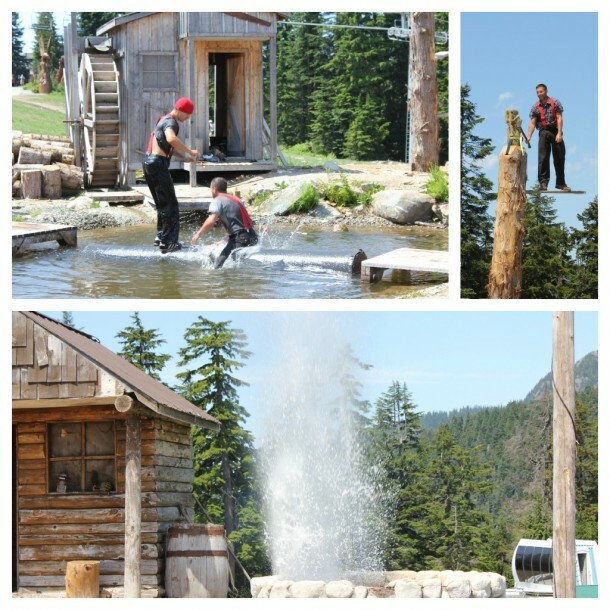 Next up was the Lumber Jack show. I haven’t seen this show in a long time and boy has it improved. The performers were outstanding, and their athletic ability is unreal! 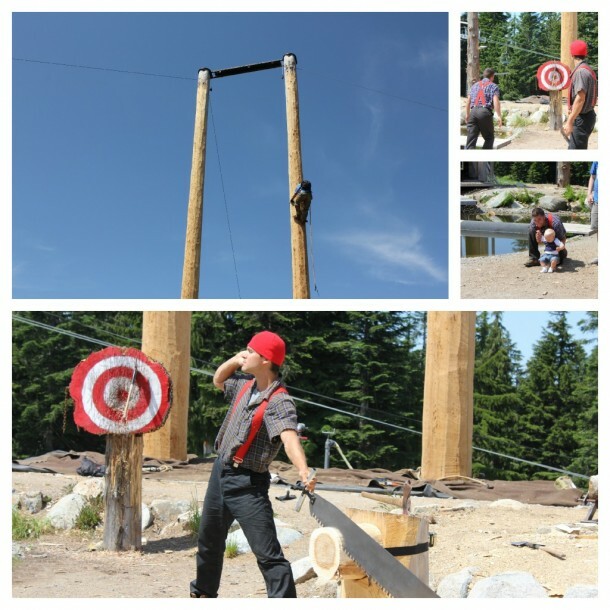 Lumber Jack should be an official sport in the 2012 London Games! Then the hubby got to go Zip lining. I have never been zip lining, but wow, it looks like fun. Mike had a blast! He filmed it- so make sure you watch the video we have attached too! Time for a chair ride up to the Eye Of The Wind…. A Wind Mill actually generates tons of energy (we’re taking enough for over 400 homes for 1 year!) AND you can go up to the top in an elevator and see panoramic views. SO COOL! Now, to be honest I thought, Hmm, I could take or leave the Birds In Motion Show- BUT WOW- I actually learnt a lot AND the show was really impressive. These Birds of Prey were basically trained like a dog (ok, they didn’t sit or roll over) But they weren’t leashed and they would fly from perch to perch on command (for a food reward) Good birdies!!! 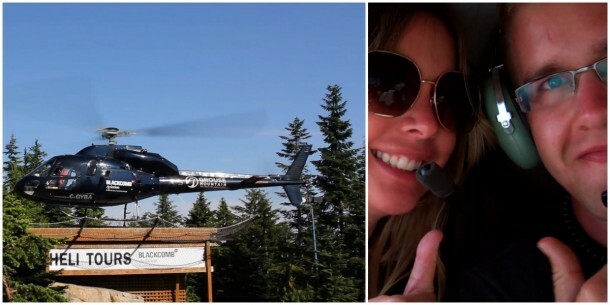 And then we went on a Heli-tour. First time in my life on a helicopter. What an experience! 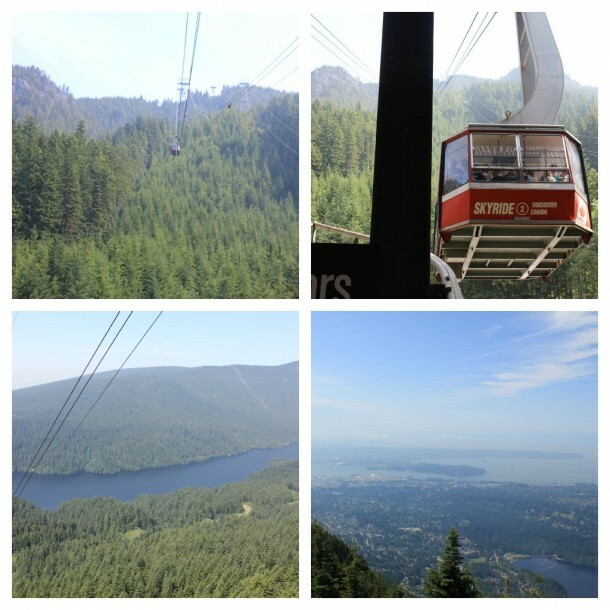 Summer in Vancouver isn’t complete without a trip to Grouse Mountain! 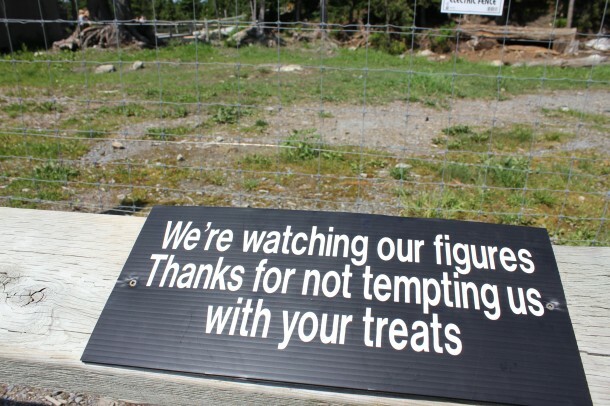 Where is your favorite “stay-cation” spot? Filed under - HEALTH/FITNESS No Comments so far. I Succumbed To The Pharmaceutical Machine!!! Had to go to the doctor yesterday but hiked a mountain today! Let’s play ball in Spring and hike Grouse in Winter! !